MIAMI, Florida – The U.S. midterms are three months away, but in Florida it feels like campaign season has already started. Election ads are heard on every radio station, candidates’ signs can be seen on front lawns and President Donald Trump held a political rally in Tampa last week to bolster his Republican allies. 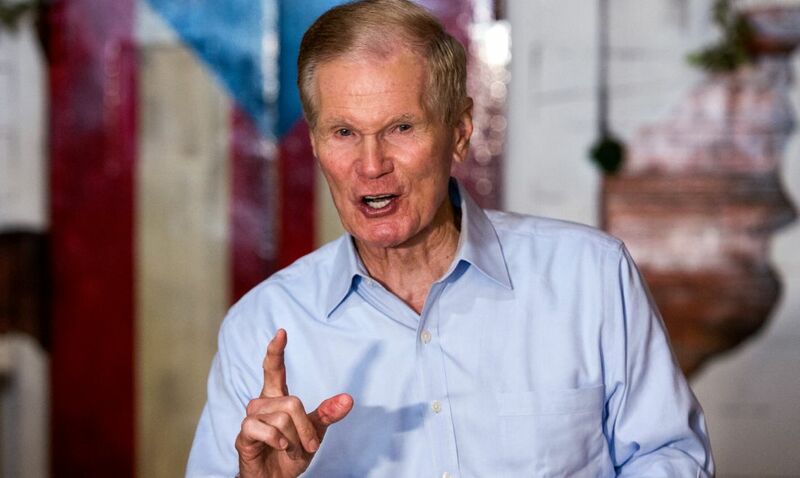 Jewish voters could play a decisive role in a number of key races across the United States – and nowhere is that more true than in Florida, which is holding an important Senate election and also elects a new governor in November. Florida was a key state in most recent presidential elections: It sent George W. Bush to the White House in 2000; Barack Obama won it by less than 1 percent on his way to a second term in 2012; and Trump won it by 1.2 percent in 2016. Steve Schale, the Democratic political strategist who ran Obama’s Florida campaign in 2012, calls it “the ultimate swing state.” He says that all four of the last state-wide elections have been decided by margins of about 1 percent. “There is no other state where you have that kind of situation,” he tells Haaretz. This year, the local Senate race between Democratic incumbent Bill Nelson and outgoing governor Rick Scott (assuming the Republican wins his primary as expected this month) looks just as tight as those previous elections. Current polling has Scott with a slight lead – similar to the margin of Trump’s victory two years ago. But political operatives from both parties who spoke with Haaretz in recent weeks say they expect a tight race that could be decided by tens of thousands of votes, if not fewer. These numbers also help explain why the Jewish vote in Florida is arguably more influential than in any other U.S. state. Florida has the third largest Jewish community in the United States, and it’s estimated that Jewish voters comprise about 4 to 5 percent of total voters. And when state-wide elections are regularly decided by such small margins, a voting bloc of 4 percent of the population can play a decisive role. Like in the rest of the United States, most Floridian Jews traditionally vote for the Democratic Party. Exit polls and post-election surveys showed that close to 70 percent of them voted for Obama in 2012, with a similar number backing Hillary Clinton four years later. Republicans have attempted to eat into the level of Jewish support for Democratic candidates in Florida in recent years by portraying the Democrats as not being supportive of Israel. That strategy was particularly evident during the 2012 election, when television ads accusing Obama of hurting Israel’s security were broadcast in areas of Florida where there is a significant Jewish population (i.e., Broward County and Miami-Dade County). Schale admits that Republican efforts to “peel off” Jewish support from Obama were a cause for concern within the 2012 campaign. But that Republican effort ultimately failed: “There was a very small change in the amount of Jewish votes” in 2012 compared to 2008, he says. This analysis is supported by a poll of Floridian Jews conducted before the 2016 election by veteran pollster Jim Gerstein. This showed that only 8 percent of local Jewish voters picked Israel as one of the two most important issues affecting their vote: 35 percent opted for the economy; 29 percent said terrorism and the fight against ISIS; and 28 percent chose the Supreme Court. On all these issues, most Jews felt more aligned with the Democratic Party than the Republicans. Yet some local voters believe this year’s midterms could play out differently. The Democratic Party has adopted extreme positions on social and economic issues, he says, and is also moving away from Israel. “People see there is a real problem there. Not everyone is willing to admit it, but I see a clear trend within the community,” says Rousso. Speaking over lunch at a restaurant overlooking the high-rise hotels on the Miami oceanfront, Rousso says his friends are worried about the rising “Bernie Sanders ideology” within the Democrats. “It’s bad for the economy here, and also bad for Israel,” he explains. Rousso believes some moderate Jewish Republicans who didn’t vote for either Trump or Clinton in 2016 could now cast their ballot for Republican nominees on the local level, giving the party the edge it needs. Rabbi Yosef Weinstock, who leads an Orthodox congregation in the town of Hollywood, north of Miami, says that Israel-related policy influences some of his congregant’s calculations. His synagogue, Young Israel of Hollywood, is located in an area with a large Jewish population, home to a number of synagogues, kosher businesses and also an Israeli-owned café, where Hebrew is commonly spoken at about half of the tables. If his synagogue were to hold a forum with the two Senate contenders, Weinstock says he would “definitely” anticipate a number of questions about issues relating to Israel. “If you look for one issue that everyone in the community agrees on – even if they have different ideas on how exactly to express it – that issue is strong support for Israel,” he explains. The Republican challenger, Scott, has criticized Nelson for voting in favor of the Iran nuclear deal in 2015. 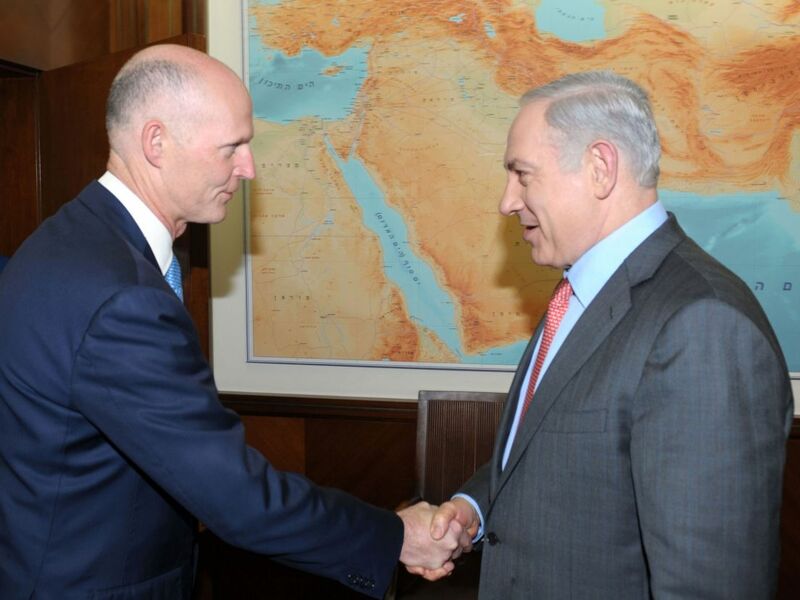 Nelson, meanwhile, attacked Scott for visiting Israel in May while Florida was dealing with a potential storm. It’s definitely possible that more lines of attack involving Israel will appear in the weeks before Election Day. The challenge in capturing and analyzing the Jewish vote in Florida is that different parts of the community have different priorities. Reform and Conservative communities tend to show more support for the Democratic Party, and also have a more critical approach toward some of Israel’s policies. Orthodox Jews, on the other hand, tend to be more supportive of Trump and the right-wing government in Israel. Zoe Terner, who recently turned 18, plans to vote for the first time in November and is currently working to encourage other young Jews to do likewise. She says that a motivating factor pushing young voters to the polls will be the high school shooting in Parkland, a city 60 kilometers (37 miles) north of Miami, in February. 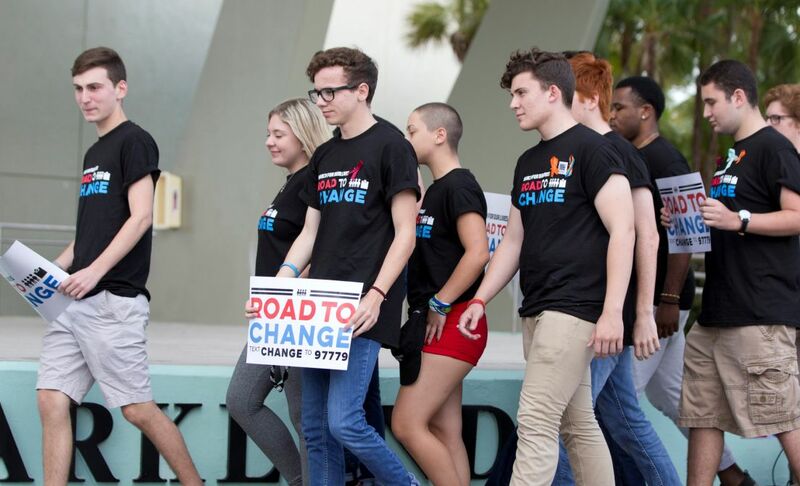 Shocked and angered by the deaths of 17 of their friends and staff members, students from Marjory Stoneman Douglas High School have taken the lead in a national movement calling for stricter gun controls. 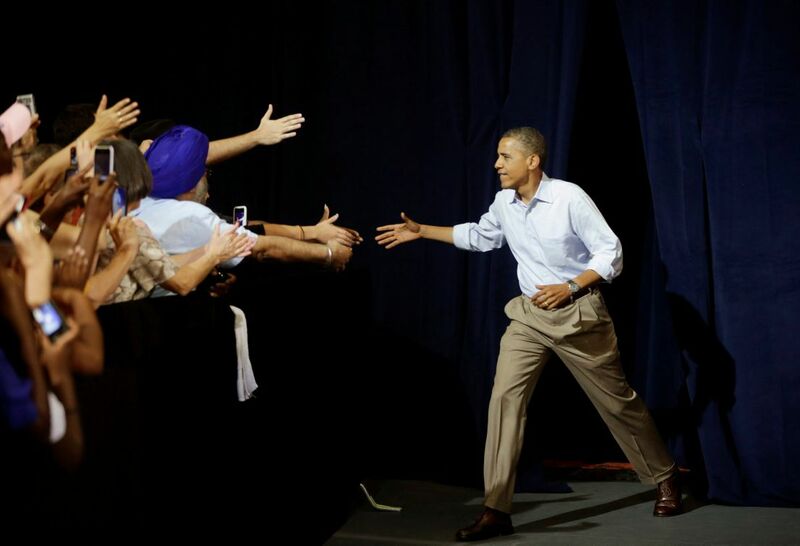 They hope to get millions of young voters to the polls in Florida (and elsewhere) in November. Gun control isn’t the only issue motivating young and progressive Jews. Another is a ballot initiative in Florida looking to restore voting rights for convicted felons who have served their time. Activists in Jewish communities across the state are fighting to make that happen – and believe most Floridians will vote in favor of the amendment. Rabbi Gayle Pomerantz, who leads the Reform Temple Beth Sholom in Miami Beach, says she is seeing “a lot of interest” in the midterms from members of her community, including younger people who are registering to vote and looking for ways to get involved. It is impossible to predict the outcome of the Florida Senate race. Will more Jews break toward the Republican Party because of Trump’s Israel policy? Or will support for the Democrats increase as a rejection of Trump’s internal agenda? Will young voters show up – including within the Jewish community – or will they remain less engaged, as in previous elections? And will the winner in Florida really be the deciding factor in the fight for control of the Senate? Their activism, she adds, is also providing an example for older members of the Jewish community. “When young people are active and fighting to make a change, it gives inspiration to others as well,” she says. Terner lives 30 minutes from Stoneman Douglas High School and says she has close friends who study there. “Nobody can tell me that voting doesn’t matter,” she declares. All of the people interviewed for this story, however, expressed concern about one joint issue: the effect that another tight and divisive election cycle could have on their own communities.